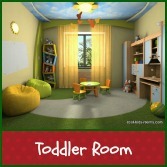 Kids use their room for many things: sleeping, playing, learning, getting creative, and feeling comfortable. It’s their space. 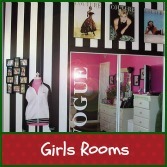 That is why decorating your child's room the right way is so important. The idea of what is “cool” changes from generation to generation. 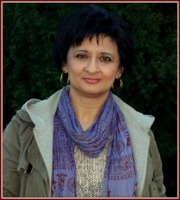 What doesn’t change is the need for a young person to find their unique identity. Whether you are a kid yourself, or just a kid at heart, your private personal space is important. It is your refuge, a place to call your own, it is home. Tip #1: Start early. 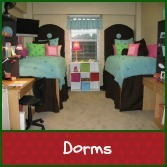 Decorating a room can be a very exciting time! 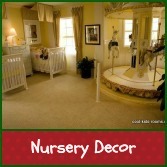 Expectant mothers often think about how they'll decorate their nurseries months before their child is born. 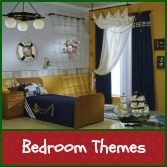 The catch is you'll surely end up redecorating your child's room at least three more times! When they're toddlers, when they start grade school and eventually when they become teenagers. 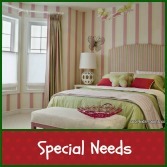 Tip #2: Children of different ages have different needs. 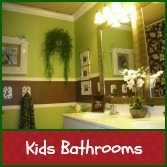 You will find all the ideas and plans you will need to accommodate your child's transitions. There is no time like the present to learn how to work with space, renew furniture, select the best colors, and pick the most ideal flooring for your child's room. Tip #3: Make a budget and stick with it. 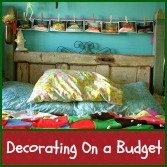 No one wants to break their bank decorating their kids rooms. There are a million different ways to work with the fundamentals of color, space, texture and furniture. As you visit the site you’ll get a complete overview of all the essentials required to create a very special room for your kid, without exceeding your budget. Tip #4: Don’t forget about your child’s safety. 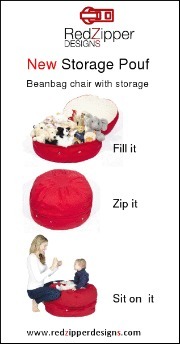 It’s important to stay organized to avoid clutter and maintain a clean and safe environment for your child. 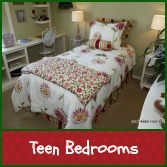 Your child's room makeover should always take safety into consideration. 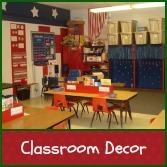 I hope you will find great kids rooms decorating ideas here. I would love to know what your ideas and plans are. If I can be of any help to you, please don’t hesitate to ask. Looking forward to helping you and your kids create some great family memories! 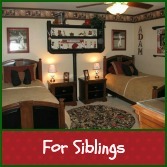 Redecorating your child's room is a great way to bond with your kids. It gives you the opportunity to support your children in letting them express their selves and create a special environment in which they'll love to spend time. Although my kids are out of the house now, I learned a lot of simple tips and tricks while they were growing up. Tips to make their rooms look like a million dollars, without spending a fortune. As a parent you may be tempted to take over and push your decorative fantasies upon your kids. Trust me. Don't do it!